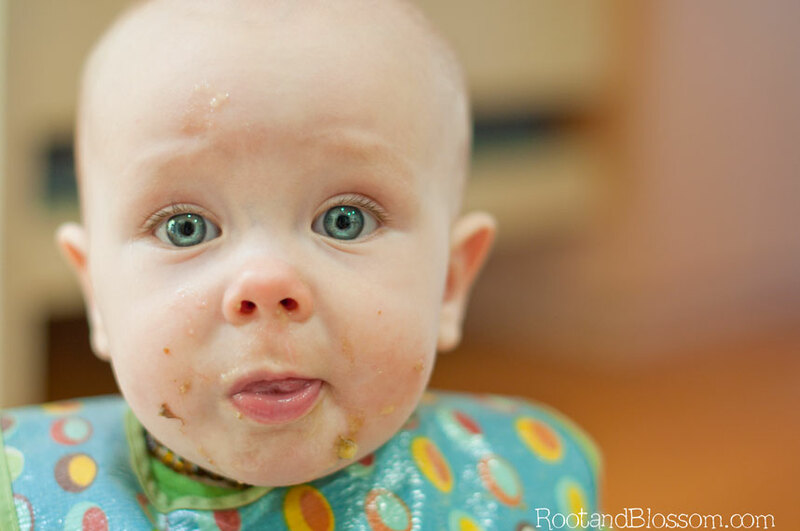 Rootandblossom: You Mean I Have to Change Diapers Again?! You Mean I Have to Change Diapers Again?! I'll throw it out there- this post probably isn't for everyone. With that you've been warned. Back in January I wrote a post about how we've decided to start ECing. We were lucky in that Gabriel took to it completely naturally! The first time we placed him on the toilet and cued him he peed! We had been the best at catching poops. Believe it or not but we had only changed a handful of poopy diapers in the last four months! Did you catch that I said 'had'? This has made cloth diapering a total breeze! But at last we have hit a lapse. For the last couple weeks we have had horrible success. We've changed more poopy diapers in these last two weeks than we have since January, JANUARY! I understand that it sounds sort of ridiculous to be upset with a 9 month old for pooping in his diaper but when you've had the luxury of not swishing and washing poopy cloth diapers for 4 months it's hard to have patience and grace. I immediately reached out to my cousin who has ECed her girls and she told me that a lapse at 9 months is pretty common. This was assuring but still we are left with the fact that we have been terribly unsuccessful. The reason why 9 months is a common age for lapse is that around this time babies tend to get more mobile. Much like sleep can pay the price of a baby learning a new trick, so can ECing. Think about it, if you're just starting to learn how to move around and go places, do you want to take the time to sit on the toilet for 10-20 minutes to do your business or instead go in your diaper without skipping a beat? I also read that when babies are developing their muscles for standing, pulling themselves up, crawling, walking, that other muscles can relax more causing the babies to go to the bathroom without being aware. So what are we doing to navigate through this lapse? Well we're still giving him the opportunity to use the bathroom and if we notice that he is going in his diaper (and can't get him to the toilet fast enough) we still cue him. We feel like we're starting to see the light again and experiencing tiny successes here and there but I definitely have been opting for disposable diapers more-so lately... I feel a little guilty about this, like throwing the towel in when the going gets hard messy but it was JUST SO EASY! Like much of life this should just be a stage that we'll eventually get through as long as we are diligent in continuing to work with him and try hard to not be discourage. Despite this lapse we are still so in awe of our son development and how he's already becoming a little person. He's worth every poopy diaper thrown our way! Have you heard of ECing? Tried it? Dealt with lapses? Hey thanks for stopping by! I'm jetting over to your corner of the blogging work next! His eyes are to die for!!! So precious! !